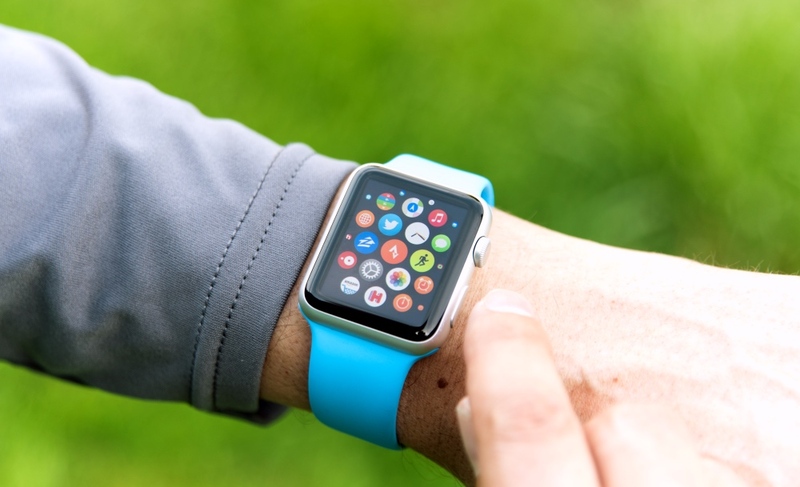 Just like how the iPhone and other smartphones revolutionized how we communicate and use technology 10 years ago, the new Apple Watch has changed how golfers approach the game today, and possibly changed the game itself. And, with onboard GPS, increased water protection and other performance enhancements Apple Watch Series 2 has the potential to make an even bigger impact. It comes as no surprise that from the tens of thousands of apps available, a great many of them are related to golf. Some more information based like news and instructional apps, and others designed to digitize scorekeeping and assist players in making shot choices...using nothing but Apple Watch. Generally these apps will fall in one of two categories. coaching and swing analysis and rangefinder and scoring. Here's a look at just a few in each of these general categories. A quick search for the word "golf" in the Apple Watch App Store produces three scoring apps followed by three swing analysis apps, and there are literally scores of options available. Golf GPS (FREE) by GolfLogix, Inc. offers 3-D color course maps, digital scorecards and GPS location on thousands of courses around the world. Golfshot (FREE) Golf GPS + Scorecard + Handicaps by Shootzoom Software offers info on over 40,000 courses, the ability to view your current game at a glance on your watch and even integrates with iMessage. You can even search and book tee times through the app. Clipstro Golf (by SPLYZA, Inc. offers instant swing trace video in combination with iPhone, using motion sensing in Apple Watch. Available in multiple languages, including English Japanese simplified and traditional Chinese and several European languages. Zepp Golf Swing Analyzer (FREE) by ZEPP TECHNOLOGY offers a Smart Coach Training System, Pro Swing Library and Video Swing Capture with the free version of the app. With additional Zepp sensor technology, utilizing a separate sensor which attaches to your glove offers features like 3D swing analysis and comparison of your son swing with those of pro golfers. You could spend many hours looking through all of the available golf apps for iWatch, the good news is most of them are free or have free versions which allow you to test drive (pun intended) them first. Some also require the use of iPhone at the same time for video analysis or internet connectivity. Although they don't offer Apple Watch versions at this point, these iPhone apps are also very useful to help you keep up on current news it tour information. PGA Tour Mobile app (FREE) This is the official app of the PGA and includes information one might expect including live scoring, player info, highlight videos and tour news, including push notifications. LPGA Now (FREE) The official app of the LPGA with features similar to the PGA app, like course maps, TV times, weather, and the ability to follow individual players. Don't forget to charge Watch before you start your round, otherwise, it's just a bracelet!